The America Tower was home to the Texas Air Corporation headquarters. Image available on the Internet and included in accordance with Title 17 U.S.C. Section 107. Frank Lorenzo. Image available on the Internet and included in accordance with Title 17 U.S.C. Section 107. 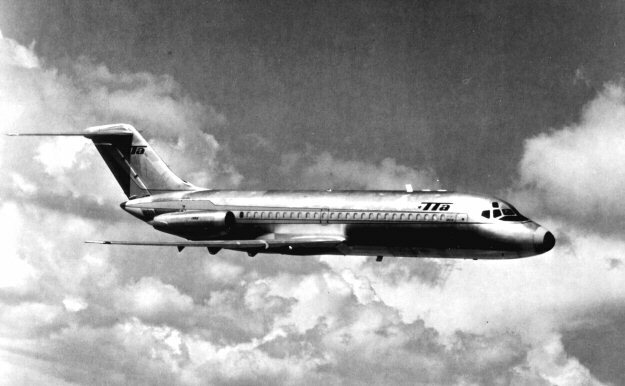 The first DC-9 aircraft was leased to Trans-Texas Airways in 1966. Courtesy of the Ed Coates Collection. Image available on the Internet and included in accordance with Title 17 U.S.C. Section 107. Texas International Airplane. Courtesy of the Ed Coates Collection. Image available on the Internet and included in accordance with Title 17 U.S.C. Section 107. 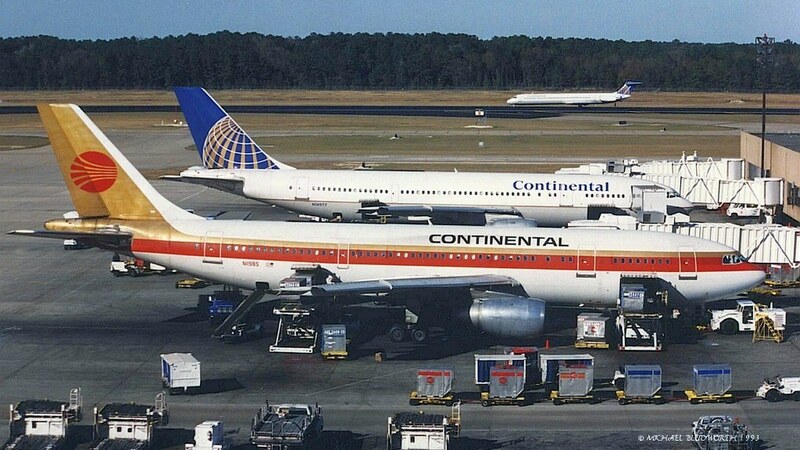 Continental Airlines Airplanes, circa 1995. Image available on the Internet and included in accordance with Title 17 U.S.C. Section 107. TEXAS AIR. Texas Air, with headquarters in Houston, was an airline holding company with investments in airlines and related businesses. The company was founded by Francisco A. (Frank) Lorenzo, a New York City native and Harvard University graduate, who worked in finance at TWA and Eastern Airlines before establishing an airline consulting firm with a Harvard colleague, Robert J. Carney, in 1966. In 1969 the two entrepreneurs established Jet Capital Corporation, an aircraft clearinghouse and leasing organization, and in 1971 this company refinanced the then-ailing Texas International Airlines, formerly Trans-Texas Airways. In 1972 Jet Capital absorbed Texas International, with Lorenzo as president and chief executive officer, and Carney as chief financial officer. 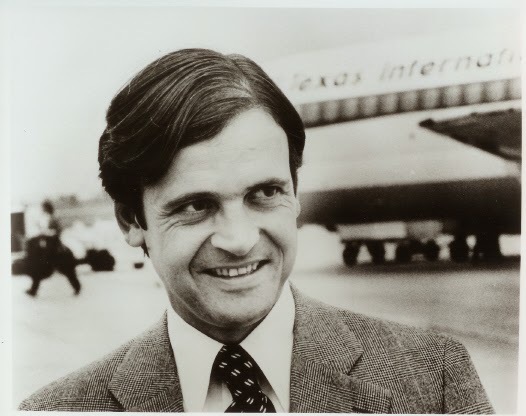 Vice president Donald C. Burr, who went on to found People Express, introduced low fares and attracted passengers who revived the airline, but resigned in 1978 after passage of the Airline Deregulation Act. Under deregulation, Texas International reduced its costs by discontinuing unprofitable routes and replaced its outdated Convair jets with more efficient DC-9 aircraft. Texas Air Corporation was incorporated in 1980, when Lorenzo established a holding company for his airline. Using non-union labor and excess equipment from the former Texas International, Texas Air next formed a new carrier known as New York Airways to compete with Eastern Airlines in the northeast. In a further integration attempt, Lorenzo set out in 1981 to take over Continental Airlines, then debt-ridden, just as the company's labor agreements were about to expire. When the takeover was completed the following year, Texas International merged with Continental and ceased to exist as a separate airline. Labor problems threatened the new airline, however, and Continental shortly filed for reorganization under Chapter 11 of the bankruptcy code. Operations subsequently resumed with workers still on strike, enabling Lorenzo to force striking workers back to the job and thereby defeat the unions. Lorenzo faced a more competitive situation in 1985, however, when corporate-raider Carl Icahn challenged his attempt to take over Trans-World Airlines, in part to acquire a computerized reservation system lacking at Texas Air. Ultimately, Lorenzo canceled his bid, but managed to gain $26 million for Texas Air from the effort. The following year Lorenzo acquired both Eastern Airlines and Donald Burr's People Express, with its Frontier Airlines included. By 1987 Continental Airlines had absorbed People Express and New York Air, giving Texas Air Corporation control of 20 percent of the domestic airline market. In that year Continental Airlines made 1,500 flights daily as the nation's third largest carrier, with 314 aircraft serving 141 cities and 24,000 employees. At the same time Texas Air officially employed only twenty workers. 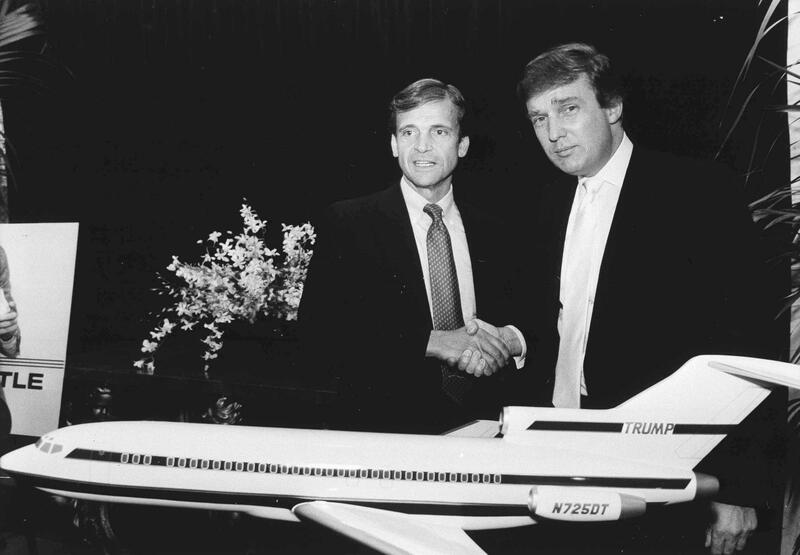 Donald Trump bought a shuttle, model pictured, of Eastern Airlines from Frank Lorenzo, 1988. Courtesy of Richard Drew/AP Photo and the Boston Globe. Image available on the Internet and included in accordance with Title 17 U.S.C. Section 107. Air Canada Airplane. Image available on the Internet and included in accordance with Title 17 U.S.C. Section 107. In spite of its significant expansion, however, the 1980s brought major losses. After a net loss of over $47 million in 1981 and $49 million in 1982, the company was $4.6 billion in debt in 1988. In that year New York entrepreneur Donald Trump acquired the company's New York Airways component, converting it into the Trump Shuttle. Nonetheless, losses continued to mount, reaching 719 million in 1988 and 886 million in 1989. In 1990 Frank Lorenzo divested himself of his Eastern Airlines holdings to the Scandinavian Air System and resigned from the firm. Eastern, facing significant pension plan liabilities, laid off hundreds of workers and sold assets, including its partnership in Air Micronesia. At the time Texas Air Corporation was renamed Continental Airlines Holding Company to reflect its main subsidiary. 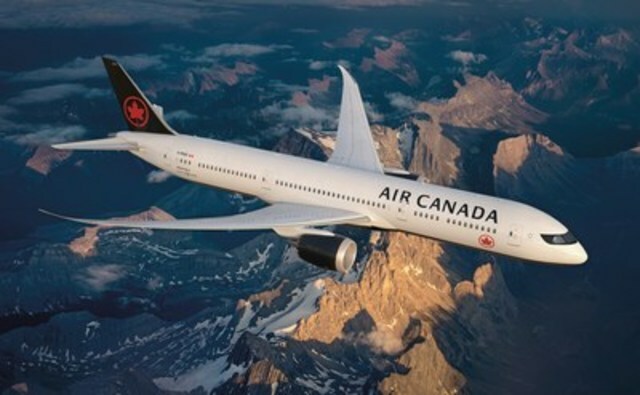 Part of the company's reservation system was subsequently sold to Ross Perot's EDS Company (Electronic Data Systems), and in 1992 Air Canada/Air Partners L. P. acquired a majority interest in the firm, maintaining both its staff and Houston headquarters. Aaron Bernstein, Grounded: Frank Lorenzo and the Destruction of Eastern Airlines (New York: Simon and Schuster, 1990). The International Directory of Company Histories (Chicago: St. James Press, 1988-). Handbook of Texas Online, Diana J. Kleiner, "TEXAS AIR," accessed April 24, 2019, http://www.tshaonline.org/handbook/online/articles/ept01.